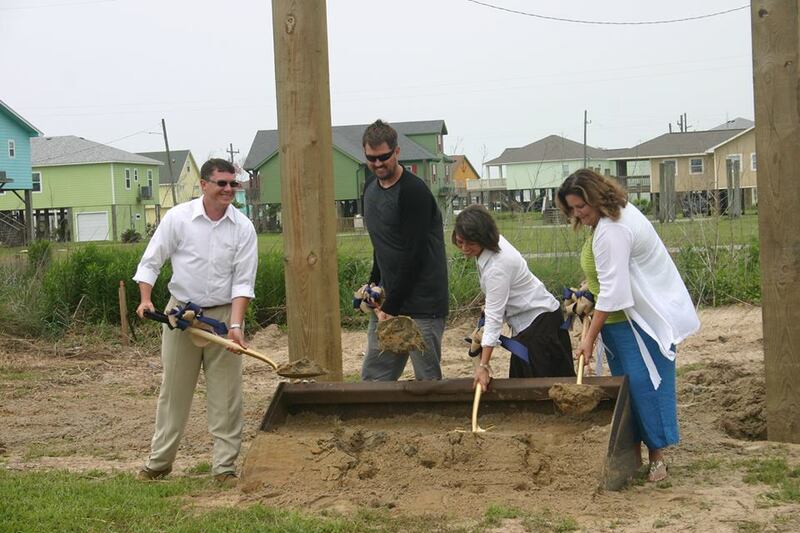 On Saturday, April 26, 2014, Lone Survivor Foundation hosted the groundbreaking ceremony for its inaugural retreat facility on Crystal Beach, TX. BRINT Construction, a family owned homebuilder dedicated to the Bolivar Peninsula, envisioned and designed two separate two-story buildings – a Main House in the shape of the Pentagon and a Conference Center in the shape of the Navy Cross signifying their motto of “God and Country”. As the first of its kind to offer healing retreats for both combat veterans and their family members, the entire facility will be 5,089 square feet of living space and have the ability to comfortably sleep 32 people. LSF is dedicated to providing unique educational, health, recovery, and wellness opportunities for the wounded U.S. Armed Forces members and their families. 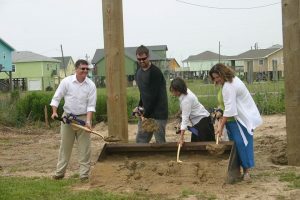 For more information on general sponsorship and naming opportunities including listing on the “Wall of Fame” are available, visit www.lonesurvivorfoundation.org/crystalbeach.